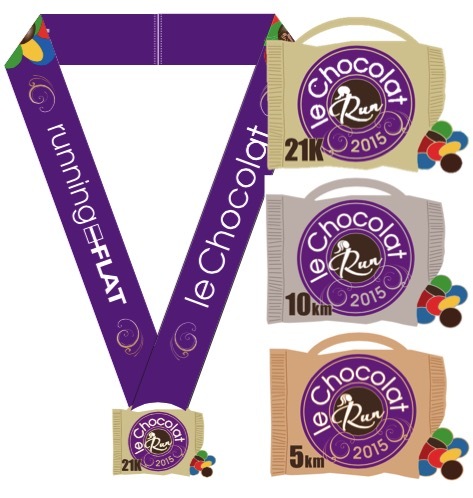 Canada's Largest Chocolate inspired Running Event! THE 2014 Video, check it out! 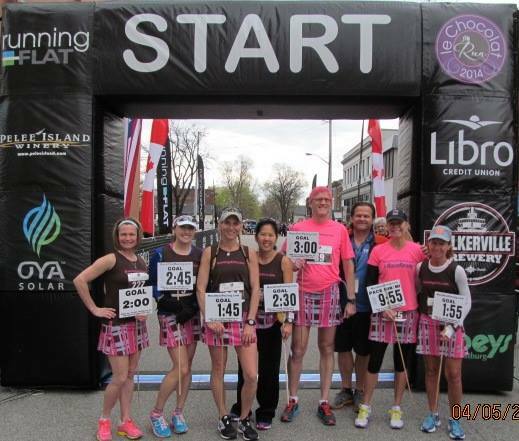 The only Run in the World that gives every Registrant an amazing Pelee Purse with 3L of White Chardonnay or Red Merlot Wine, Chocolate and a Chocolate inspired Finisher's Medal. 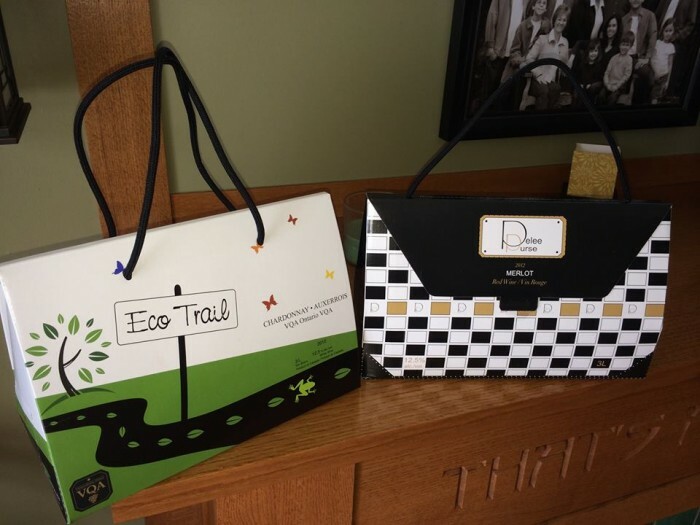 Two years ago we sold out in 4 days our 5K Run/Walk (we gave away Coach Purses). 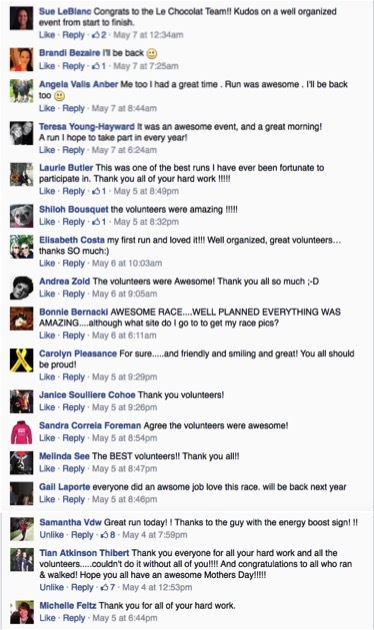 Last year we were the largest Spring run in Ontario this side of the Mississauga Marathon. Register early to guarantee your place in this Historic event. Windsor's only Half Marathon on Riverside Drive. Can You Say Happy Mother's Day Primer? 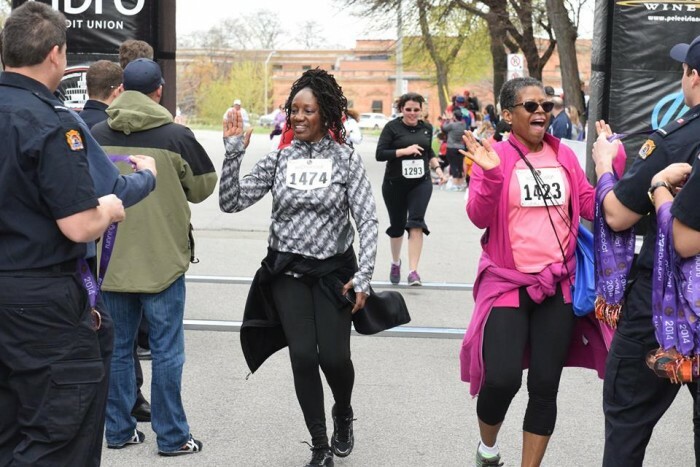 Join us the weekend before Mother's Day for an amazing Half Marathon 21K (13.1miles), 10K and 5k Run/Walk out of the trendy Walkerville BIA. 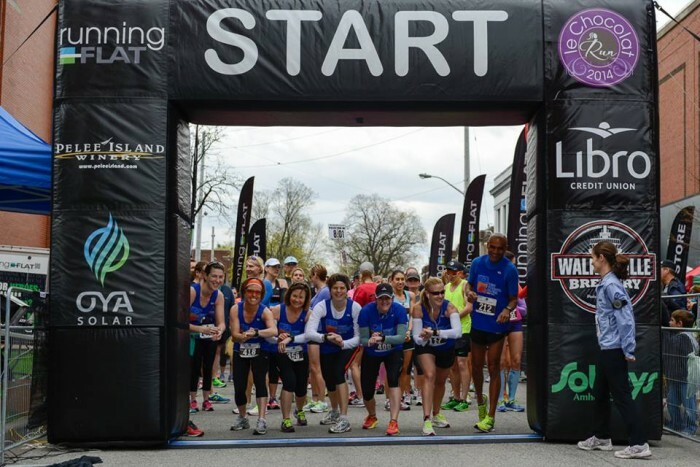 The event starts in Walkerville and utilizes the gorgeous Windsor waterfront and Riverside drive for all races. Participants will enjoy firemen at the water/aid stations (lets plan for some twisted ankles that day) a great finisher's Le Chocolat inspired medal (all races) and of course lots of Chocolate inspired treats. Stay after the race to enjoy all the shopping and great dining in Walkerville. This year all participants get a 3L box of wine (red or white) that is shaped like a purse (must be 19 years of age or older to pick up wine)! 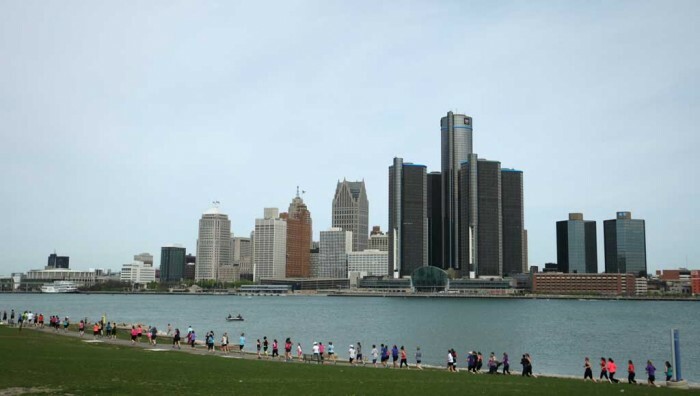 Join us for Windsor’s only Half Marathon that has the beautiful Detroit Skyline as your course backdrop. The Half Marathon goes from the Bridge to Lauzon Road, utilizing the most shoreline course in North America. Absolutely NO RACE DAY RACE KIT PICK UP. You must pick up the day before, at our RaceKit Pick up site River Front Plaza, 370 Riverside Drive East. The Start/Finish line is at Walkerville Brewery at 525 Argyle Rd. The event will start at 9:00am rain or shine. No refunds. Due to the high cost of putting on the event, we ask that you please click the charity link and donate today or at the run. Make a Fireman Happy donate to Sparky's Toy Drive. Soon announcing a special sponsor for the Chocolate Zone located at the end of the Finish Line. We have developed a new process with gift boxes made for every finisher. Each box contains a variety of Chocolate and goodys for the Chocolate lover in you. New security protocols will be in place to make sure you get yours. Every week RunningFlat will send you an email updating you on this event and other runs we are launching or hosting. This weekly newsletter gives you an update on our Radio Show and podcast at RunningFlat Radio. Download them today on iTUNES and listen to industry news, running tips and feature interviews with Meb, John Stanton, Bart Yasso, Don Cherry and many more interesting people. So don't unsubscribe and you won't miss out on the latest news. The 10K National Age-Group/Masters road championships provide an opportunity for runners of all ages and abilities to participate in an Athletics Canada championship. As the national sport governing body for track and field, including cross-country running and road running, Athletics Canada supports high performance athletics excellence at the world level and provides leadership in developmental athletics. Athletics Canada is committed to highlighting sporting excellence and encouraging active participation in road running by providing meaningful competition for athletes of all ages and ability levels through Age-Group championships. Introducing the 2015 Bling! This years Chocolate inspired medals are delicious. 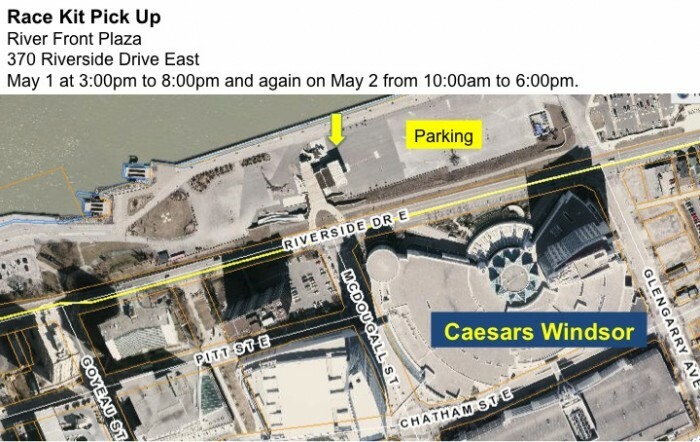 Race Kit pick up will be at 370 Riverside Drive East at the Riverfront Plaza Festival stage across the street from Caesars Windsor on the waterfront. We will be inside beginning on May 1 at 3:00pm to 8:00pm and again on May 2 from 10:00am to 6:00pm. There is tons of parking at the stage and it is easy access in and out. Friends can pickup for each other. The person picking up needs a photo ID and no one under the age of 19 can receive the wine swag. Pelee Island Winery have patented the amazing Pelee Purse. We are the only Run in the World that gives away a 3L box/purse of wine. Every registrant gets one in the 5K, 10K and 21K events (must be 19 years of age or older to collect at race kit pick up). That is how we say Happy Mother's Day! You have to watch the 2014 Le Chocolat Video! 2.5km from the start/finish line. 2km from the start/finish line. Typical RunningFlat aid station every 2K with Port-a-Johns so you never have to worry just enjoy the run and scenery of running on an iconic course, Riverside Drive overlooking the Detroit River. Every aid station has water and RunningFlat Fuel (Lemonaid) and a runners aid kit.